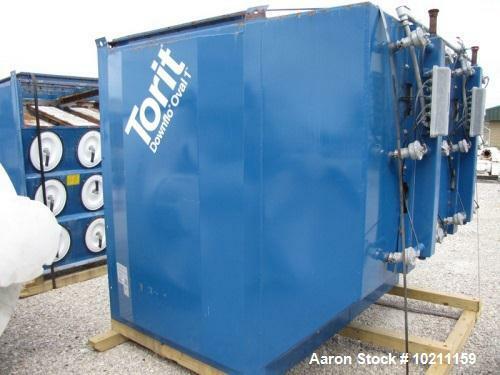 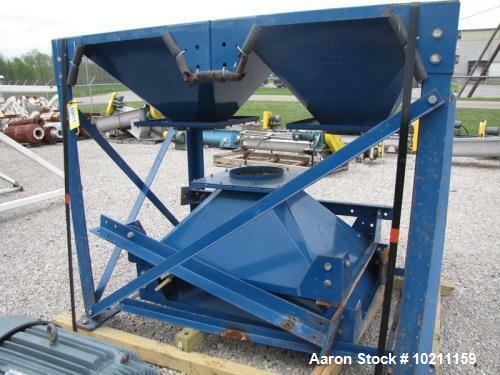 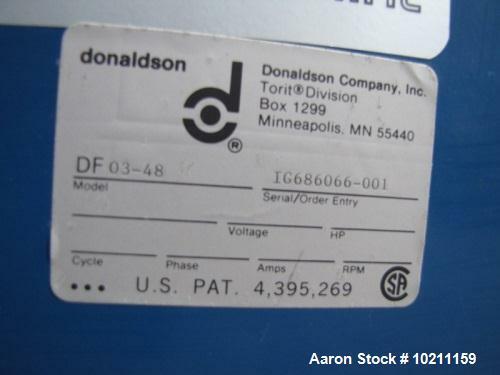 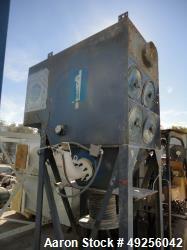 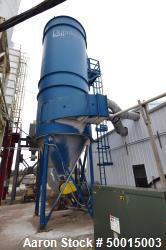 Used-Donaldson Torit Downflo Oval Cartridge Dust Collector, Model DFO3-48. 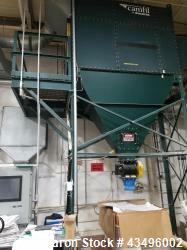 9,120 Square foot filter area, rated 4,560 - 38,300 nominal cfm range. 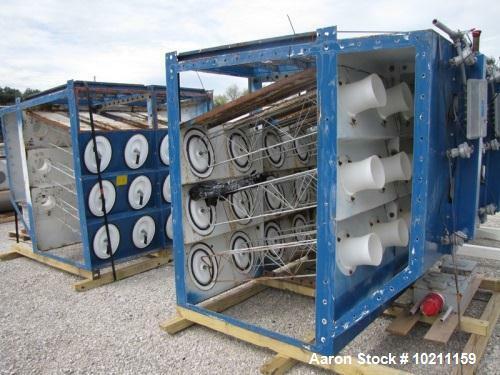 Designed for 48 oval cartridge filters with quick style release covers. 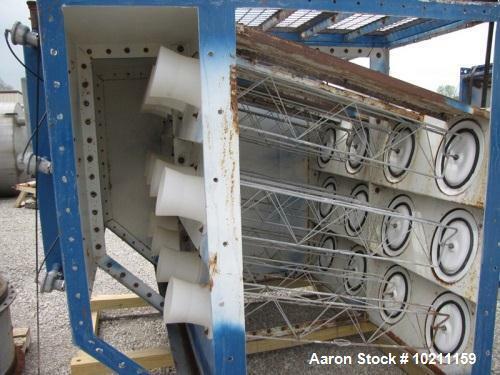 Designed for explosion vents. 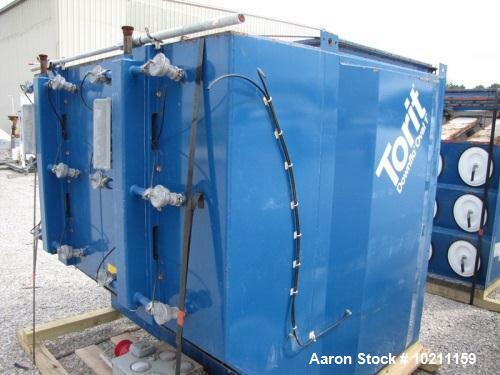 Carbon steel twin module construction, timer and solenoid enclosure along with Torit "Delta P" control panel. Also includes ledge-free twin hoppers and 90 degree stainless steel 24" round transitional dirty air inlets. 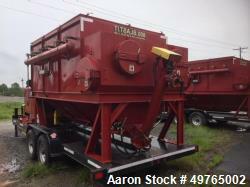 Assembled dimensions approximately 160" wide x 76" deep x 145" tall.